Some groundbreaking changes are on their way to Call of Duty: WWII. Sledgehammer Games released an update today, highlighting numerous alterations that are coming to WWII’s Divisions system next week. Greg Reisdorf, the principal multiplayer designer at Sledgehammer Games, unveiled the changes in a new video—and it’s safe to say that this update will have a huge impact on WWII. For starters, Division attachments—such as the Infantry Bayonet or Airborne Suppressor—will now be available on class-specific weapons regardless of the Division you’re using. 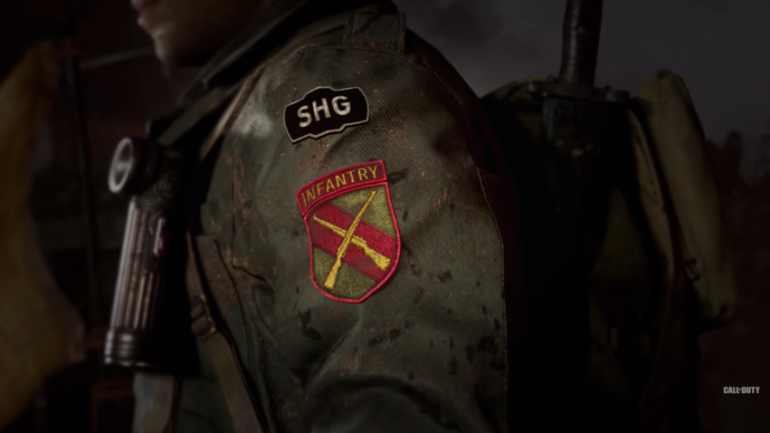 This change allowed Sledgehammer to completely revamp the Divisions system and add a new fourth ability to each class. Here are the new Division skills in Call of Duty: WWII. 2) Second pistol attachment and swap weapons faster. 3) While aiming down sights, have less idle sway. 4) Move faster while aiming. 1) Fire guns while sprinting and diving. 3) Climb over obstacles faster and no damage from falling. 4) Sprint faster over time. 1) Take significantly less explosive and fire damage. 2) Immune to Shell Shock and Tactical Equipment. 3) Increased bullet penetration through surfaces. 4) Greatly reduced flinch when shot. 1) Invisible to enemy Recon Aircraft and controlled streaks. 2) Killed enemy death locations hidden. 3) No name or reticle change when enemies aim at you. 1) Double Lethal and Tactical, and enhanced equipment use. 2) Munitions replenish from killed enemies and over time. 3) Improved Tacticals and easier to destroy War buildables. 4) Equipment damage paints enemies on minimap. 1) Minimap indicator and scrambler of close hostiles. 2) Enemy movements are easier to hear. 3) Kills and assists grant Intel Ping of nearby enemies. 4) Easier to spot targets and increased minimap coverage. Additionally, Sledgehammer has drastically altered the way players will create their classes in WWII. Three primary attachments, as well as one piece of both Lethal and Tactical equipment, will now be available on all loadouts. To make up for this, the Primed and Bang Basic Trainings have been completely removed from the game. Two new Basic Trainings will replace Primed and Bang: Blitzkrieg and Clandestine. Blitzkrieg allows players to earn scorestreaks by kills instead of score—these streaks will be “improved” and you can select a fourth streak. Clandestine, on the other hand, causes Intel Packs that reveal nearby hostiles to drop from enemies you kill. A number of other Basic Trainings will also be adjusted in this update. Energetic, for example, will now increase sprint speed instead of allowing you to sprint again sooner. Sledgehammer has also added unlimited sprint to the game—although the in-game sprint speed will be slightly slower. There are a plethora of changes coming to WWII, and they’ll undoubtedly have a major impact on the game. All of these alterations are set to join Call of Duty: WWII on April 10.